As we age the skin on our face and neck begins to sag from a loss of muscle tone. A facelift is an operation to tighten the skin on the face, producing a firmer and smoother appearance. the fold from the mouth to the jowl (the ‘marionette line’. A facelift operation can reverse years of aging by smoothing out excess skin of the neck, under the chin, along the jaw line and across the cheek. Fat is removed from below the jawline and under the chin where it is unwanted but preserved and repositioned from the jowl to the cheek to restore volume where it has been lost. It leaves only faintly visible fine lines so that others will not know the reason that you ‘look so well’. During the consultant process, your cosmetic surgeon will assess your face by inspecting and lifting the facial skin, to evaluate skin laxity, quality and movement. They will make a note of any prominence or weakness of the jawline and the distribution of fat over the face, cheeks and neck. This assessment will help determine priorities in the procedure and what result you can expect. In most cases patients are delighted with the results of their facelift operation. However it’s very important that you have realistic expectations of the outcome and your consultant will explain which features which can be improved and by how much, and those which cannot. If the problem is severe, i.e. a very severe turkey neck, complete correction may not be possible. Several features are not be corrected by a facelift. These include fine creases on the lips and the ‘crow’s feet’ at the sides of the eyes. Fine creases and lines may be opened out but not eradicated. The fold from the nose to corner of the mouth is improved but will not be gone completely. The marionette line below the corner of the mouth is especially difficult to correct. A facelift is carried out under general anaesthetic and an overnight stay in hospital is required. The incision courses down following the curves in front of the ear, round the earlobe and up in the crease behind the ear. There is often a tiny incision hidden under the chin for fat removal by liposuction. A salt solution with very dilute ‘adrenalin’ and local anaesthetic is injected into the tissues to prevent bleeding. Using these incisions on both sides, the skin and deeper tissues are remodelled, lifted and repositioned with multiple strong but dissolving stitches. Small drains are placed under the skin, below the jawline, at the end of the operation. They exit through the hair behind the ear so there is no mark and are removed the following day. The incision lines are closed with stitches in front of and behind the ear. These days the stitches are dissolving and do not need to be removed. Whilst you are asleep, but before the operation starts, a urinary catheter is inserted. This ensures that you do not have to get out of bed to the toilet during the first night after surgery. This decreases movement and substantially reduces the risk of bleeding. At the end of the procedure before you wake up, towel rolls are placed at each side of the head and under the neck. These again reduce movement and ensure that the head is held in a central position well supported with the chin up. How long will it take to recover after the facelift procedure? After your facelift procedure you will need to stay in hospital, usually for one night. It is important not to bend over or do anything strenuous for two weeks at least, otherwise post operative bleeding could result. You may have some mild discomfort but this can be managed by taking a mild analgesic such as paracetamol. When sleeping at night or resting during the day you should recline with the head above the body to reduce any swelling. You should support your neck to keep your chin up. Head and neck movements should be gentle and not extreme. Stitches are dissolving and do not need to be removed. You will need to return to the hospital about a week to 10 days for a routine check. It is common for patients to have eyelid surgery with a facelift and so there may also be a visit to remove an upper eyelid stitch. It is advisable not to have you hair tinted for at least couple of weeks following surgery. Will I have a lot of scarring? The scars in front of the ear are not normally visible after a facelift. They may be a bit pink for a while but fade to a normal skin colour and texture. Bruising and swelling are temporary following a facelift and are mostly resolved by two weeks. Firmness in the outer cheek area can however persist for a couple of months. The skin in this area will also be numb for that time. Lumpiness under the chin on the neck is also common epecially if excess fat has been removed by liposuction. This will go after a couple of months. Infection after a facelift is rare. You will receive a brief course of antibiotics to prevent infection at the time of surgery. Should infection occur later, it is readily treated with antibiotics. If you suspect infection then a prompt visit back would be the first step. The post operative instruction sheet will tell you what to look out for. Is there an age limit to being suitable for facelift surgery? This depends on the individual. Ideally, you should have some elasticity in your skin, even if you are experiencing sagging effects. 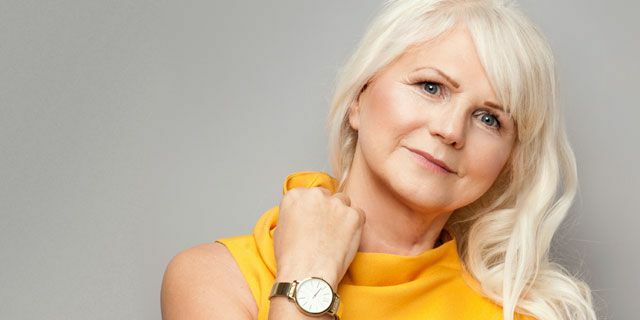 A good bone structure helps and, whilst most patients are between 40 to 60 years old and successful facelifts have been carried out for people in their seventies providing they are in good health. It is best to discuss this with a consultant who will assess your suitability. If you are interested in speaking to an experienced cosmetic surgeon about a face lift then get in touch and we will arrange an appointment at a time that suits you.